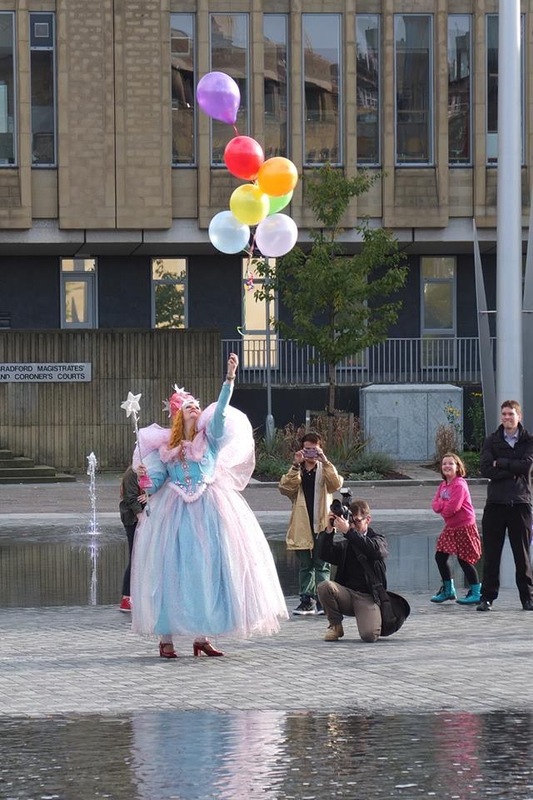 See Bradford City Park transformed with the magic of Oz. Skip along the Yellow Brick Road, play among the fantastical flowers, experience the storm in Dorothy¹s House and ride the giant Ruby Slipper Slide. Watch live and light shows, different each day, as Bradford’s communities become Munchkins, Emerald Citizens or Flying Monkeys. 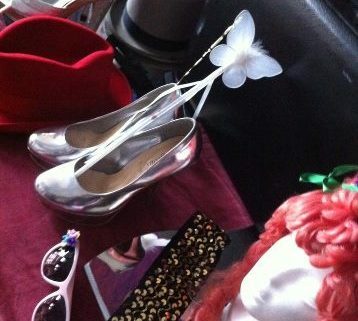 Meet Glinda the Good Witch, the Wicked Witch of the West, Professor Marvel or The Great and Powerful Wizard of Oz himself. There’s a new experience all to enjoy each extraordinary day on 9th, 10th and 11th October 2015. What is Echoes Of Oz? ECHOES OF OZ is a huge community and arts programme, culminating in a wonderful event that will transform Bradford’s beautiful City Park with live and light shows specially made in Bradford. 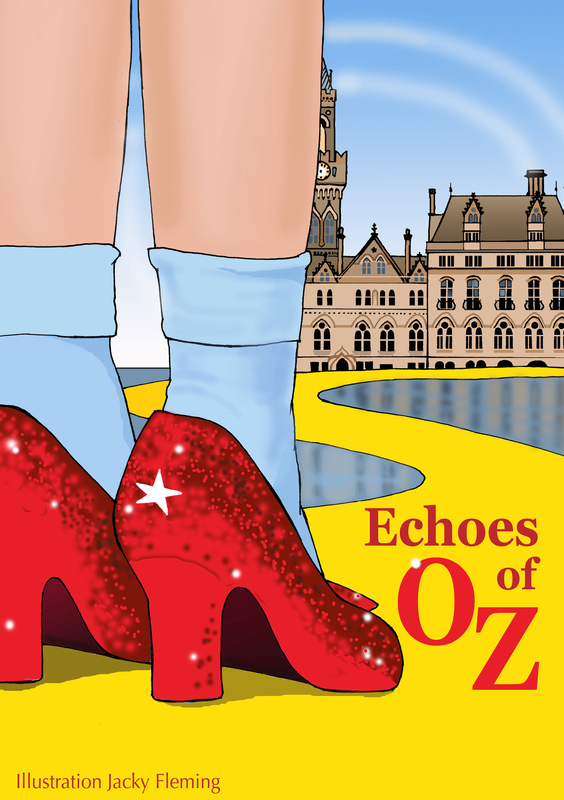 ECHOES OF OZ is our series of projects inspired by The Wizard of Oz. Bradford is our home town – it’s also the world’s first UNESCO City of Film. And our favourite film, ‘The Wizard of Oz’ celebrated it’s 75th anniversary in 2014. We’re still fund-raising, but thanks to a substantial funding award from the National Lottery via Arts Council England’s Grants for the Arts and support from Bradford Council, the Ruby Slipper Slide made it’s first appearance at Bradford Festival (June) and we are working towards the Echoes Of Oz grand finale weekend on October 9-11th 2015.